If you need building work done it's really important to get trusted local recommendations. Local Mums give their recommendations for the best local craftsmen here. “I highly recommend Eaves and Alcoves�to all Local Mums.�We were absolutely delighted with the work that Stuart did for us in our new home. It was a big job and he far exceeded our expectations in many ways. His workmanship is of an excellent standard and you are able to see how talented a carpenter he truly is when you see the finished product. He worked to our requests and where we needed his advice, he was spot on with his suggestions and we are very pleased with the results. Stuart always arrived on time and cleaned up not only when he finished the work, but also at the end of each day which was a great help.�I would not hesitate to recommend Stuart or use him again when I will need some more bespoke carpentry in my home." 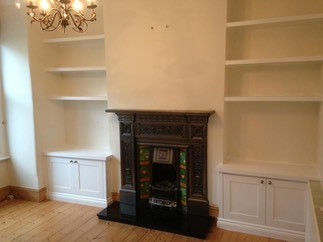 “I highly recommend�Eaves and Alcoves�to all Local Mums.�Stuart has carried out a number of jobs for us over the past two years including carpentry work (fitted wardrobe and alcove shelving and cupboard) and decorating both the interior and exterior of our house. We are always very pleased with the high standard of work, reliability and professionalism of Eaves and Alcoves. In addition, Stuart and his team ensure that their work is carried out with minimum disruption to the household. We will use Eaves and Alcoves in the future and have no hesitation recommending them." 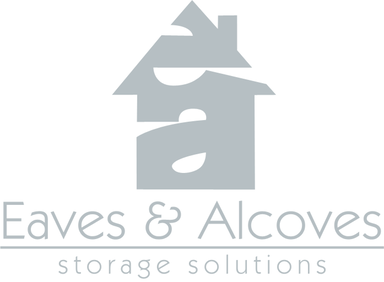 Eaves and Alcoves�provides comprehensive, high-quality property storage solutions within the London area. Eaves and Alcoves�was set up to provide a solution to your storage needs and make the most of what’s possible in your home, from the smallest conversion flats to the biggest possible spaces. Eaves and Alcoves are determined to offer dedicated, individual attention and are driven to produce high quality results whilst also giving good value for money. Eaves and Alcoves offer a bespoke joinery service and can make any unit, wardrobe or shelving unit you require into any space with any desired finish. We are happy to visit your home and give advice on how best to utilise your space and work together to come up with a solution. Our team is friendly, smart, polite and approachable. We never cut corners, compromise on quality and we are always respectful of your home and will always leave it clean and tidy. We are currently offering all Local Mums 5% discount on all our services. Just quote Local Mums Online.